A solid winter parka is perhaps the strongest investment you could make for your winter wardrobe—nothing's warmer or more enjoyable to wrap up in for a icey commutes to work or scary-cold hiking adventures. There's many options out there, but we found three that satisfy different, integral sides of our winter lives. Spiewak: Cold weather can make it hard to look nice, bulk and breadth overshadowing anything chic you're doing underneath. Spiewak's been making parkas for about a century, and they've figured out exactly how to make a parka with volume and insulation that still looks pretty. That's coyote fur trim, for your information. Available at Spiewak's online shop. Henri Lloyd for Oi Polloi: Last but not least, is a coat that would work fine in the city, but seems primed for any cold weather outdoor adventures. 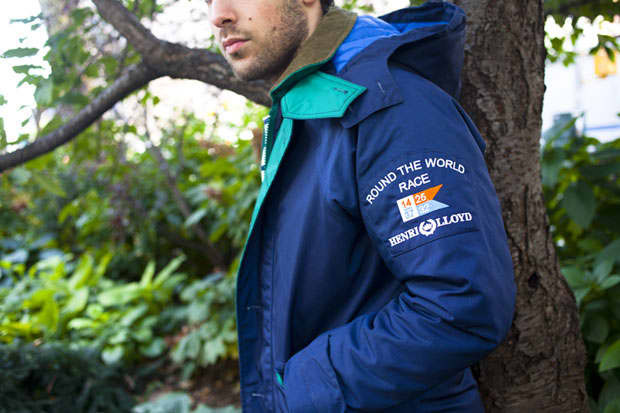 Henri Lloyd is a British heritage brand that specializes in sailing gear, and in teaming up with Manchester menswear shop Oi Polloi, they've crafted a functional jacket with a blue-shell exterior that is amazingly windproof. Available Oi Polloi's online shop.